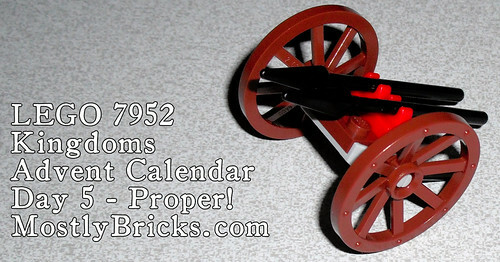 So – Day 5 of our little series on the LEGO 7952 Kingdoms Advent Calendar turned out to be mixed up with Day 15. So just pretend for another week that you didn’t see that. And many thanks to Model Gal for pointing out the mix up! Here is the proper Day 5, and nothing says the holidays like a couple of spears on wheels.